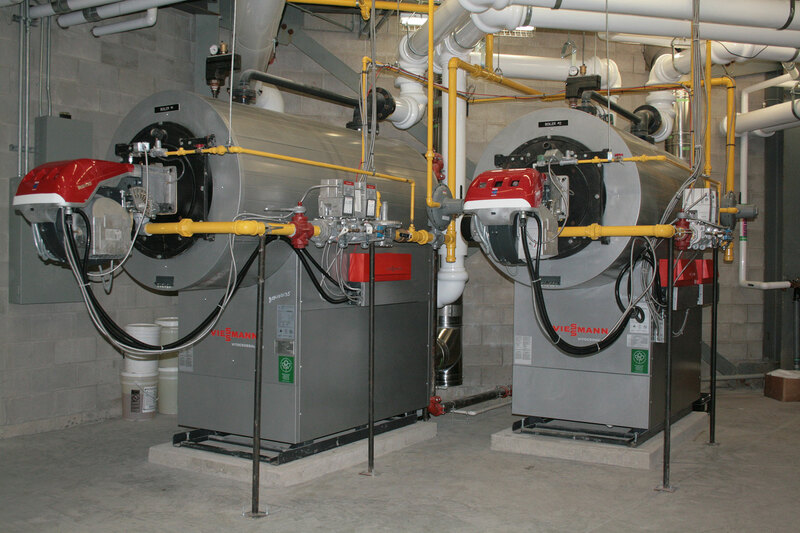 Two (2) Viessmann RMT-700 hot water boilers c/w Weishaupt fully modulating natural gas burners, 100% boiler protection packages, and Dekematik controls. 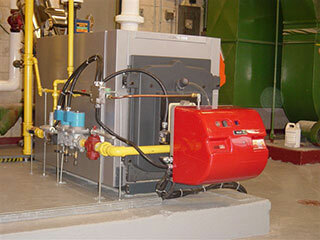 A custom panel controls the boiler, pumps and integration to the BMS. 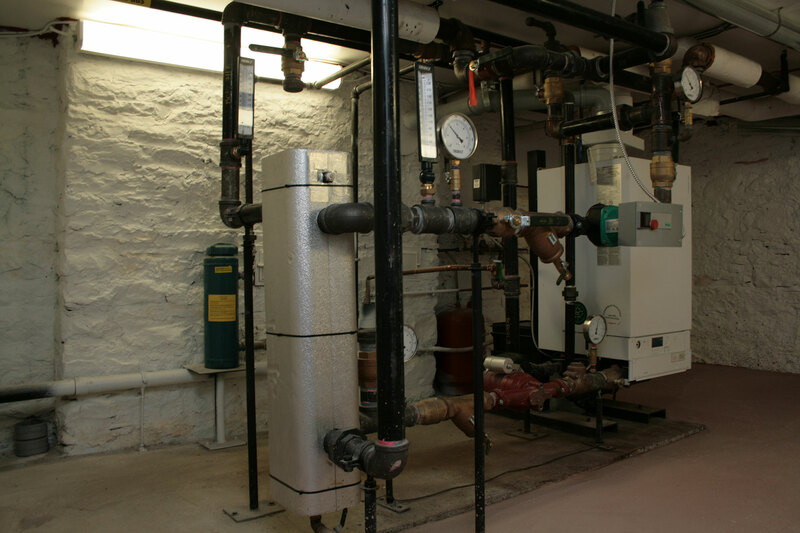 A Viessmann Vertomat condensing boiler, and a Viessmann Rondomat non condensing boiler, two (2) 3 way mixing valves, and three (3) 120 US gal domestic hot water tanks (not shown), and a Multimatik Control Panel complete the heating system for this large seniors complex. 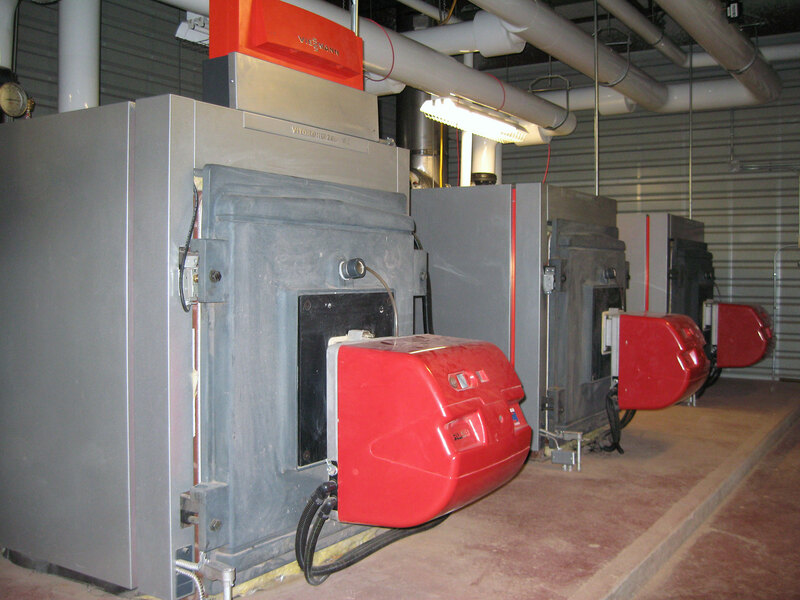 Two (2) Viessmann Vitorond VD2-380 hot water boilers, complete with Riello fully modulating natural gas burners, GC1 boiler controls, and a BacNet 505 Interface control complete the heating system for this modern LEED Certified building. 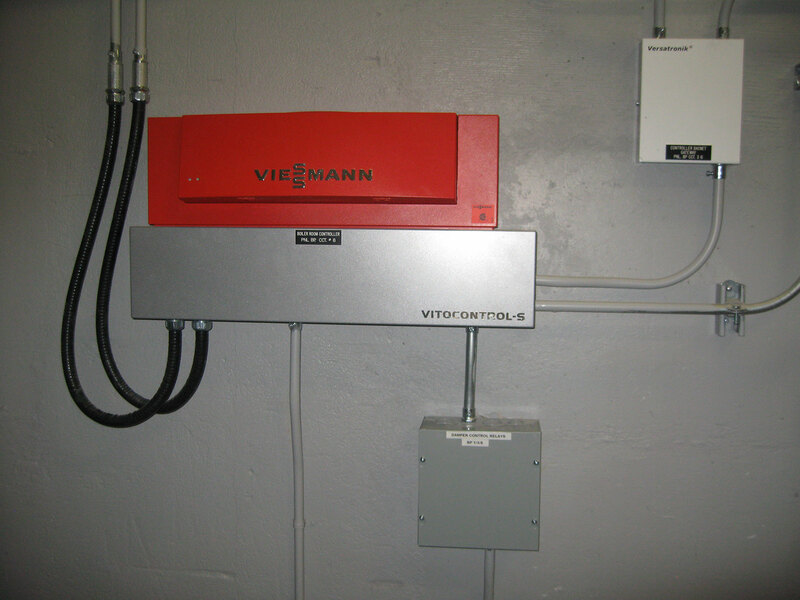 The Viessmann Versatronik control integrates the BacNet control package to the boiler system. 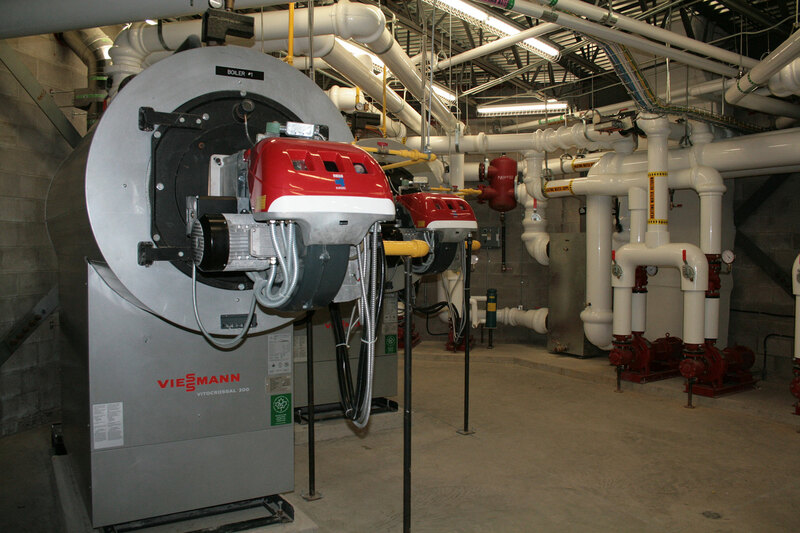 Possibly the largest pool heating, thermal solar system in Canada, comprising 200 Viessmann Vitosol 200 solar panels. Two tier framing installed of all the racks. 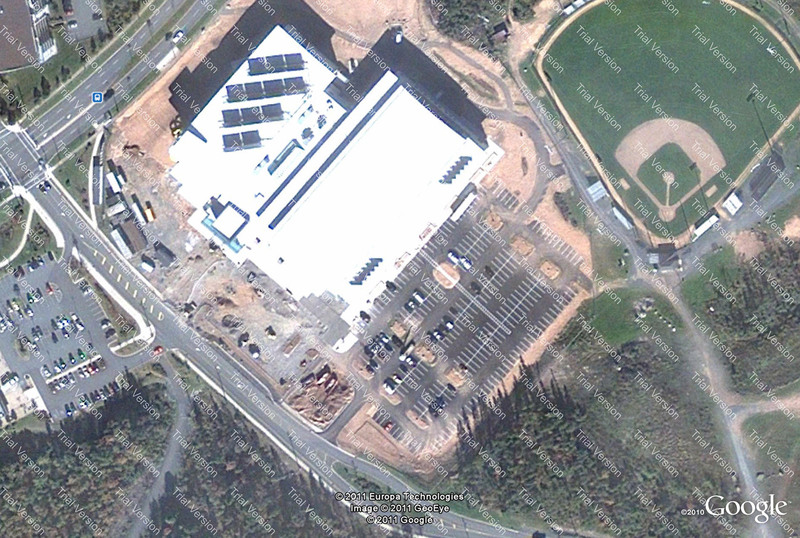 Solar panels being clipped into place. Top and bottom row of panels competed. 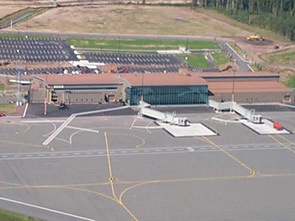 White covering to protect panels from solar intensity before piping installed. 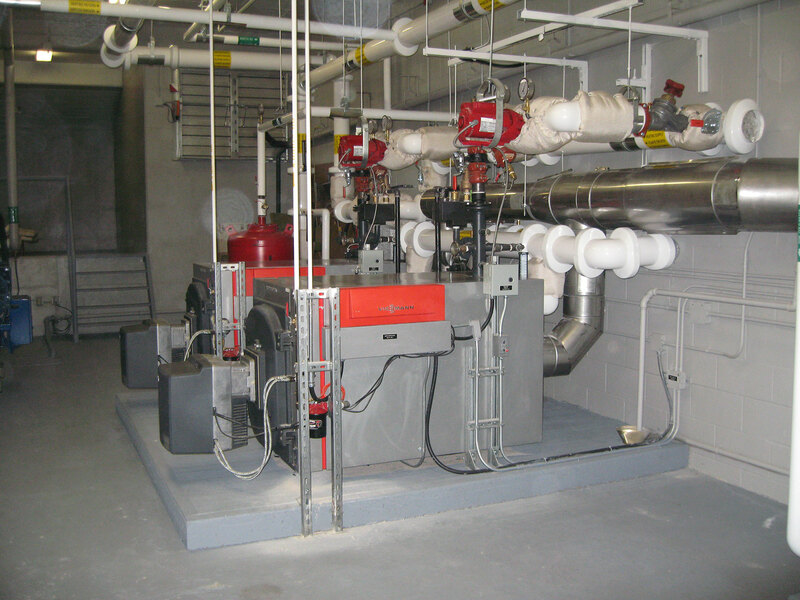 Two (2) Viessmann Vitorond 200 RMT-700 boilers with 100% low temperature protection packages cw Weishaupt L5Z-D two stage oil burners, Dekematik controls, and two Vitocell V 300 120 US gal DHW strage tanks, for this nursing home in Northern New Brunswick. 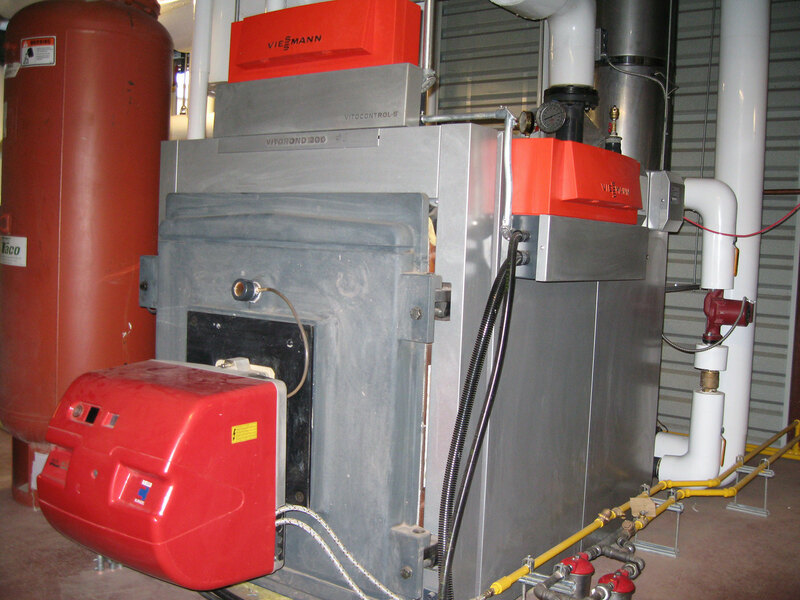 Three (3) Vitodens WB2 200 15-60’s condensing boilers on a Viessmann distribution manifold c/w a low loss header, a Cascade control, two (2) stacked Vitocell H 350L stainless steel tanks (one solar preheat), four Vitosol 200F flat plate solar panels, and a Vitosol control, provide heat and hot water for the new Fredericton North Side fire station. 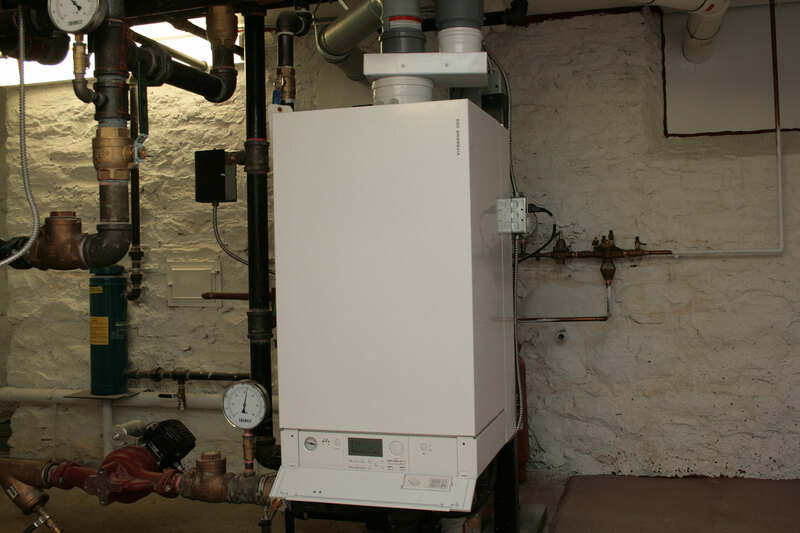 A Vitodens 200 WB2B-105 condensing natural gas boilers, with a low loss header, and a flexible PP vent system, replaced an aging oil fired boiler. 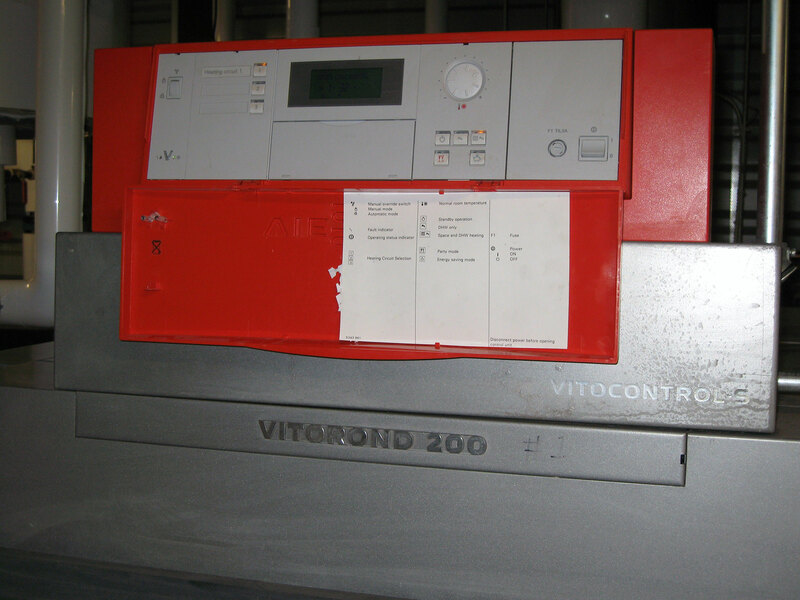 A Vitocontrol 200 remote control communicates directly to the boiler (no zone valves) and modulates the boiler supply temperature based on indoor load, and outdoor design temperature. 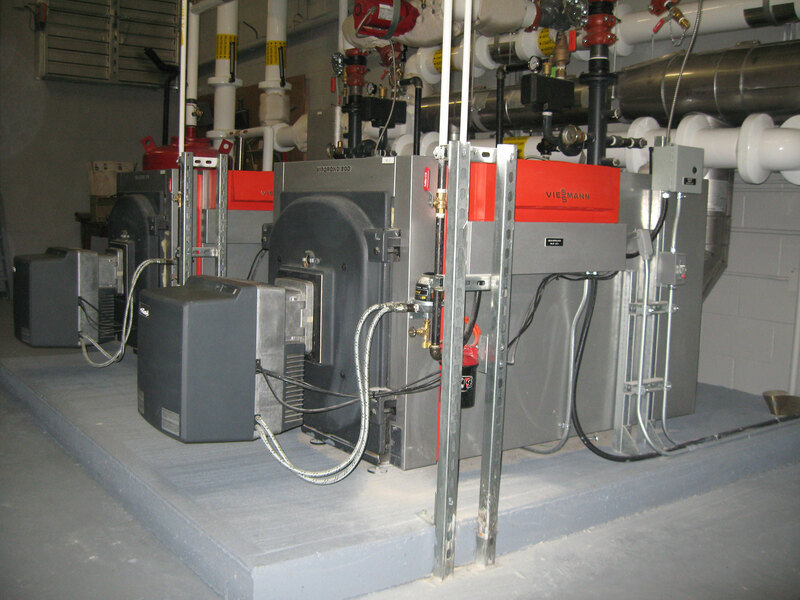 The main water treatment facility in Oromocto New Brunswick is heated with a Viessmann Vertomat/Vitocrossal VSB-46 cw Riello RS-50M fully modulating NG burner, and a Vitorond 200 VD2-270 Triple cast iron boiler cw Riello RS-28M fully modulating burner, and a Vitocom 0-10 VDC input panel from a BMS system. 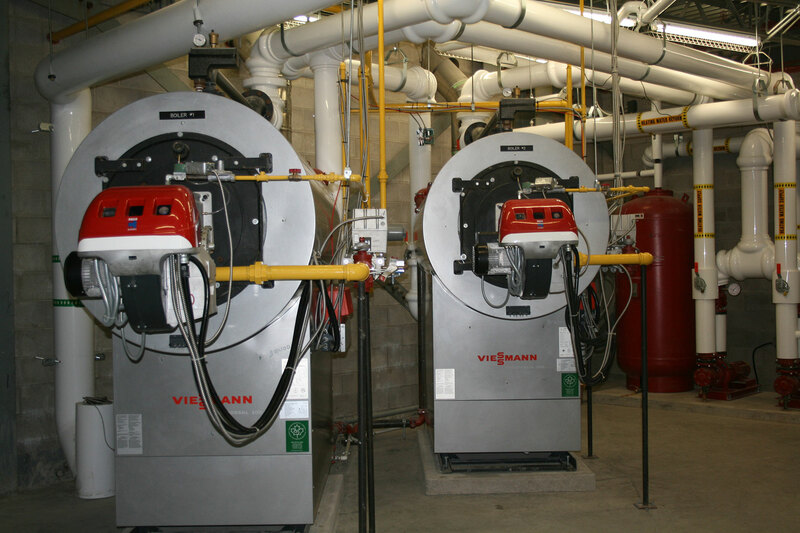 Two (2) Viessmann Vitorond VD2A-160 hot water boilers, complete with Weishaupt two (2) stage Linkageless burners, GC1 boiler controls, a Vitocontrol-S multiboiler control, and a BacNet 505 Interface control and a Low Loss Header, complete the modernizing and upgrading of this school. 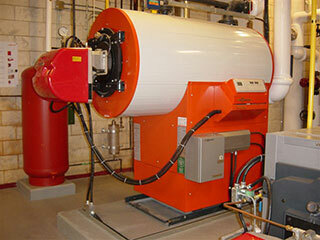 Three (3) Vitorond 200 VD2-380 hot water boilers c/w Riello RL 38/2 oil burners. 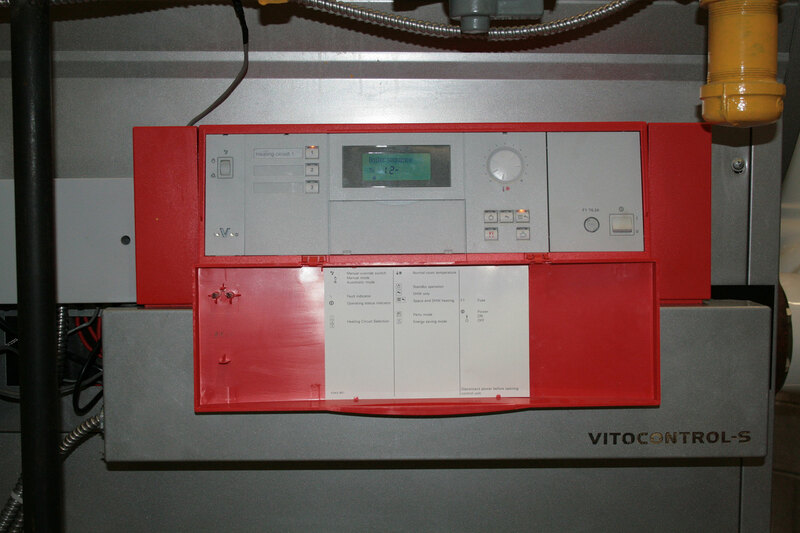 Each boiler is equipped with a GC1 boiler control, and they communicate to a Vitocontrol Cascade S, for staging, rotation, etc. 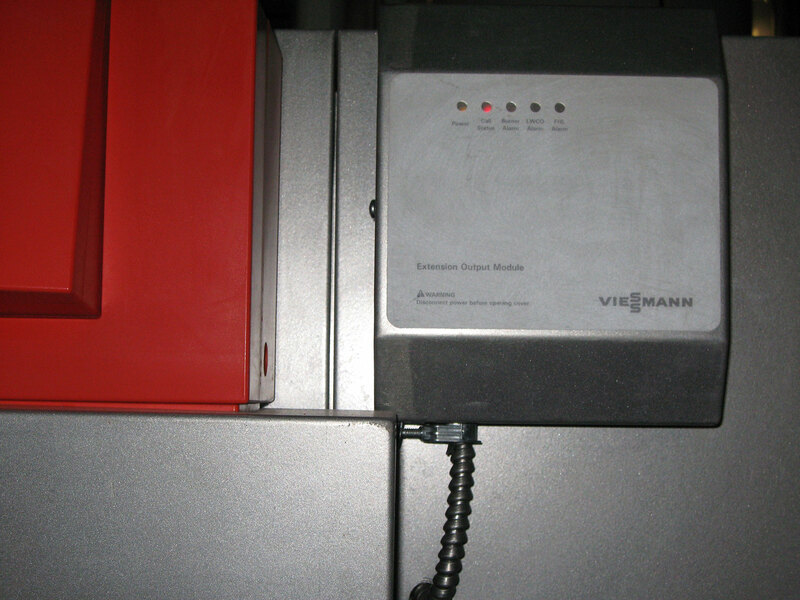 LON connected Output modules transfer Status and Alarm issues to the BMS. 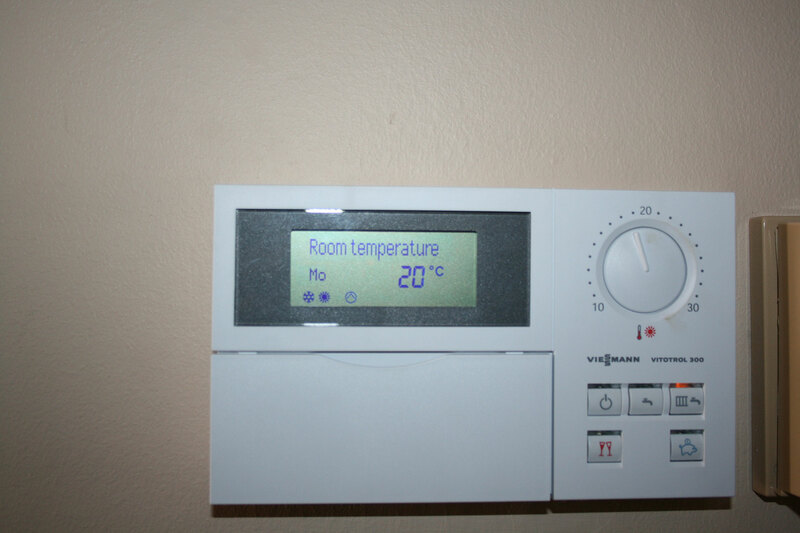 Six Vitocell V 300 450 L water heaters, provide domestic hot water for residents, laundry and kitchen requirements. 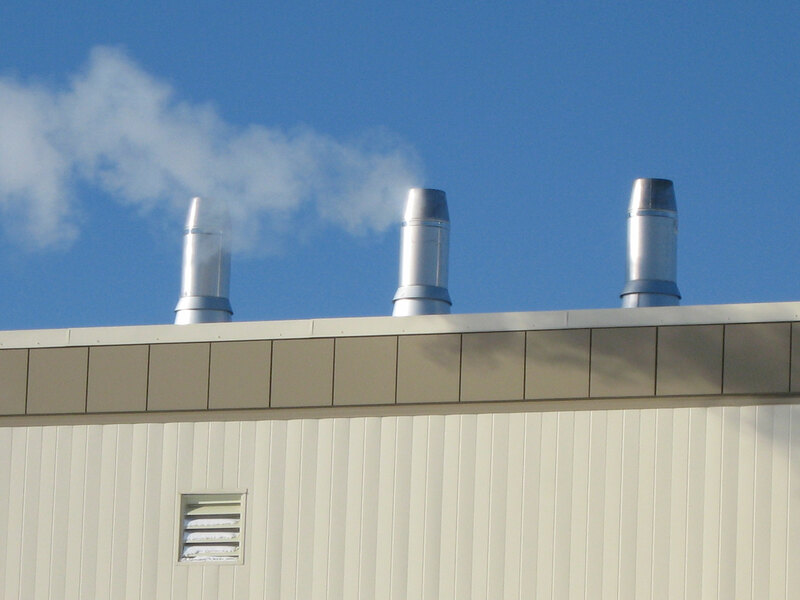 Three Security Chimneys are used for breeching and Venting. 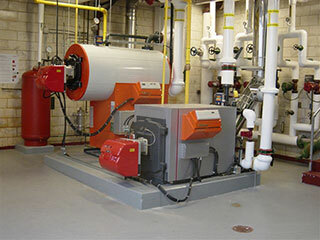 Two (2) Vitocrossal CT3-89 condensing hot water boilers complete with Riello RS100/M fully modulating natural gas boilers, high pressure gas trains, and boiler controls. 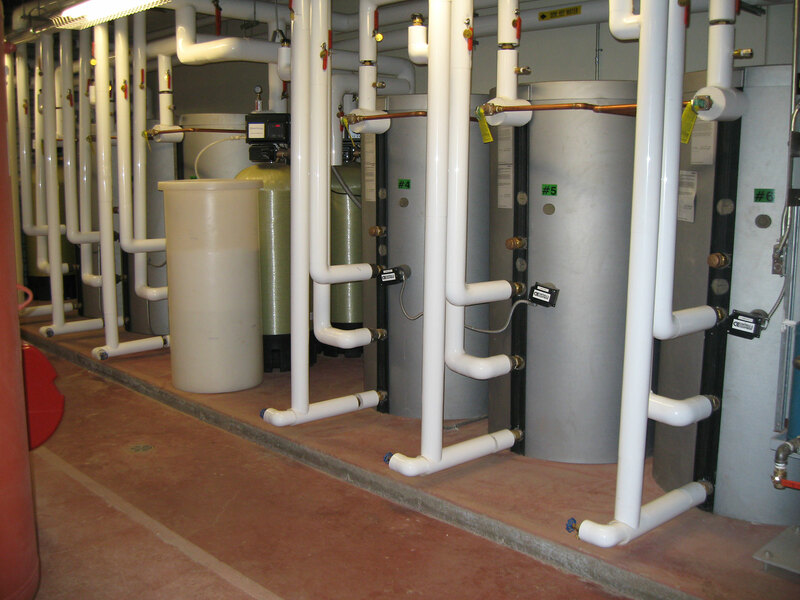 A low loss header package hydraulically separates the boiler loop from the system pumps; LLH is complete with insulation jacket.